On the Greek-Turkish land border refugees are systematically refouled with brutal, shocking and systematic violations of human rights: ‘When they left us in the Turkish waters they made waves again and six of us – all men – fell into the sea. The Greeks saw that, but they didn’t help, they just left.’ PRO ASYL documents these systematic pushback in the report “Pushed Back – systematic human rights violations against refugees in the aegean sea and the greek-turkish land border”. With few exceptions, all documented pushback took place in the area of ​​operations of Frontex. 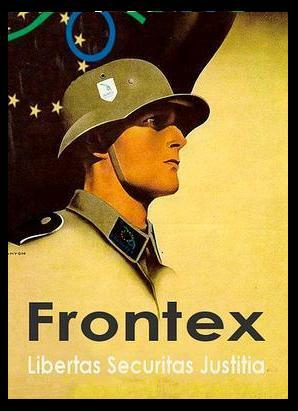 PRO ASYL raises the question of the involvement of Frontex on the human rights violations and calls: Frontex must end its operations in Greece. Many men, women and children continue to die at the borders of Europe as they flee their homeland. If they survive, they will be treated as criminals. Wasim is a refugee from Syria. In late July he was dropped by boat on a remote, densely wooded and rocky shore of Samos island, with his wife, young son and baby daughter. Without enough water or food, he swam to find help. Ignored by passing boats, he eventually found help, and from there went to the police. He was immediately arrested and held for a subsequent six weeks. Throughout this time and despite, from the beginning, pleas that someone look for his wife and children, he heard nothing from or about them. Six weeks later he would find them dead. The following testimony of Amin Fedaii, a 16-year-old afghan refugee, is alarming. On January 15th 2011 more than 20 refugees (mainly from Afghanistan) died while trying to flee from Greece and to reach their relatives and friends in other European countries. The asylum system in the crisis-ridden Mediterranean country has entirely collapsed. Refugees cannot find protection neither any income and often even no accommodation. 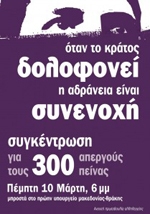 Against this background deportations to Greece according the Dublin II-regulation have been stopped in many European Countries, but the affected persons got stuck in unbearable conditions in Athens or in the harbour-cities of Patras and Igoumenitsa. While EU-citizens can travel without any problems, refugees are trapped: a regular exit is refused, although they have – particularly if they come from war-zones like Afghanistan – good chances to receive a residence permit on humanitarian grounds in many EU-countries. More texts on the situation in Southern Italy. Rage and fear. This is what comes out of the images from Rosarno, a small town near the western coast of Calabria, where violent clashes broke out after two African immigrants were wounded by a pellet gun attack by white youths in a car. The themes that run through all the sections from specific areas are those of controls and attempts to stop migrants, their detention in awful conditions that often entails abuses by guards, and a de-humanisation that goes so far as to result in deaths and in the use of legal and illegal dissuasive practices, among which the Dublin II regulation and illegal repatriations are identified as being particularly harmful. Instances of resistance against policies enacted by government by migrants themselves and local populations that express solidarity for them are also examined. A special emphasis is placed on how some French policies are officially justified as seeking to prevent “a draught” that would encourage others to migrate towards Europe, that the authors interpret as people being made to endure dreadful situations not for their own sake, but for the message to reach their home countries and particularly those who might be tempted to follow them in the future. Surprising parallels are drawn, such as those between the “tranquillos” in northern Morocco and the so-called “jungles” in France, which are both make-shift shelters self-managed by those attempting to escape the attention of the police, immigration authorities, in short, to become invisible while they try to plan the next stage in their journey after hitting a dead end. In Morocco, they face the choice between trying to cross a heavily guarded stretch of the sea in which thousands have died en route to Spain, trying to climb the six-metre-high fencing erected around the Spanish north African enclave cities of Ceuta and Melilla, or to reach them by swimming around the border, again, risking death. In France, they have the Channel blocking their way into the UK, the Dublin II regulation stopping refugees among them from claiming asylum in case they are sent back to the countries they first entered the EU from (most often Greece, where the level of successful applications is well below 1%), resulting in a likelihood of them never being able to obtain asylum regardless of whether they fulfil the requirements for it. Everywhere, the police are on their tracks, and capture involves the risk of detention, sometimes entailing violence as well as terrible living conditions, and expulsion, except for those who come from countries to where some European states will not expel them (unlike the UK, France does not usually repatriate Afghans), although this is not an issue if they are captured in Morocco or in Greece, where night-time returns to Turkey in perilous conditions across the river Evros are commonplace. The Italian practice of directly returning intercepted boats to Libya without identifying the people on board or their nationalities since May 2009 is a classic example of how the wish for expediency is trampling even the limited guarantees provided by increasingly harsh national immigration laws- expulsion without a judicial authority issuing a formal order; the presence of likely refugees disregarded; returns to presumed transit countries where they are likely to experience further abuses. There are many excerpts of first-hand accounts from migrants’ experiences, ranging from a complete lack of understanding of the situation in which they are forced, for instance an Afghan youth in Calais who wonders how it is possible that he is not allowed to stay, nor allowed to leave and is thus condemned to roaming aimlessly, feeling as if he were “in a cage”, to harrowing descriptions of spiteful and mocking treatment at the hands of border guards that went so far as to lead people to perish, both on the Moroccan-Spanish border and the Greek-Turkish one. The lasting impression caused by the report is that thousands of people are facing incredible ordeals as a result of policies, that awful living conditions from poorer countries are entering the EU as a result of exclusion and the creation of categories that are permanently forced to live in a condition of invisibility. On the other hand, to help them “regulate” immigration flows, the EU and its member states are funding a vast expansion of the internal security apparatus in bordering countries and of tough laws that are often implemented on the basis of skin colour. Simone Troller of Human Rights Watch describes the plight of migrant and refugee children in Greece and how Greek authorities are doing the dirty work for other members of the European Union – giving them the opportunity to get rid of migrants, including potential refugees. This was how a seventeen-year-old Afghan boy described his secret expulsion from Greece to Turkey and ultimately back to Afghanistan. Unfortunately, his experience is typical of the fate of thousands of migrants and asylum seekers who have been expelled from the European Union at the hands of Greek authorities. As a result, many people who need protection are sent back to danger, abuse or inhuman detention conditions. In 2008 and 2009, Human Rights Watch investigated the treatment of migrants and asylum seekers, including unaccompanied children, in Greece and published its findings in three reports. 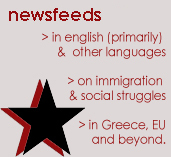 In late 2008, when we first presented our findings to the Greek government about systematic illegal expulsions of migrants, asylum seekers and refugees to Turkey, we were given the cold shoulder – they ignored our findings. It may be hard to believe that such callous and illegal acts are taking place in the heart of Europe that has long committed itself to respect basic human rights standards. It may also be hard to believe that Greece offers no safety net for unaccompanied children. Those who are not expelled are either detained in filthy and overcrowded conditions or released onto the streets where they face a miserable struggle for survival and exploitation, including as child labourers. Yet, ignoring the reality on the ground means such acts will continue to take place. Greece’s treatment of migrants and refugees, including these children, violates binding European Union directives for asylum seekers. Despite the shocked reactions in Brussels when we described what we had found, our call to the European Commission to take Greece to the European Court of Justice for these violations has so far gone unheeded. There is no doubt that Greece is on the frontline of migration to Europe and that it carries a heavy burden for the rest of the EU under the Dublin II rules. But that reflects a wider failure of Europe’s asylum and migration policy that puts pressure on countries at its borders instead of ensuring equitable burden-sharing across the continent. Under Dublin II regulations, the country where a person first enters the EU is generally held responsible for examining that person’s asylum claim, though for unaccompanied children the rule applies only if the child has made a claim there. The regulations are premised on the notion that all EU member states have comparable asylum and migration practices. Yet, there are wide disparities, with countries like Greece effectively offering no protection at all. Greece gives refugee status to 0.05% of asylum seekers after a first interview and recently abolished meaningful appeals. This prompted the United Nations High Commissioner for Refugees to withdraw from a formal role in Greece’s asylum procedure. Yet, EU member states continue to return migrants, asylum seekers, and even unaccompanied children to Greece, simply pretending that everything is perfectly fine. It is hard not to get the impression that these EU member states are perfectly happy with Greece doing the dirty work for them – giving them the opportunity to get rid of these migrants, including potential refugees among them. In mid-2009, six months after we brought our findings to both Greek and EU attention, the Greek government began a new crackdown against migrants – arresting hundreds across the country, bulldozing a make-shift camp in Patras, evicting them from run-down dwellings in Athens, and detaining new arrivals on its islands. Human Rights Watch returned to Greece in September 2009 and collected evidence that Greek authorities have arrested persons all over the country, and summarily expelled some of them across the river to Turkey, though previously it only sent those who had just entered from Turkey back that way. This means that no part of Greece is now safe for anyone in need of protection. While the EU has largely remained silent on Greece’s abusive record or has focused on blaming Turkey for refusing to take migrants back, there are some encouraging signs from the newly elected Greek government. It announced in mid-October that Greece would no longer be a hell pit for migrants. The government also pledged to release 1,200 migrants from detention, where most are held in inhuman conditions, and to create a special police unit to investigate allegations of abuse. Fixing the system will be a tall order, though. The new government inherits an asylum system that no longer deserves that name, a police force that commits abuses against migrants both in broad daylight and in secret nighttime operations, and detention facilities that are a hazard for detainees and staff alike. Fixing this will require more than promises and symbolic acts. Despite the overwhelming agenda, there are obvious priorities. The Greek government can protect the most vulnerable migrants, especially unaccompanied children, and get rid of the stark alternatives in the current system of either detaining them or abandoning them to the streets and to exploitation. Greece should give them decent shelter, food, clothing, health care, and, of course, protection from traffickers. Not all of the more urgent reforms even require more resources. An unambiguous commitment to stop the illegal expulsion of migrants to Turkey is essentially a matter of political will to operate according to the rule of law. The new police unit should immediately investigate these secret expulsions and levy sanctions against those responsible. Accountability for these acts is paramount for meaningful police reform. Greece also needs to come to terms with the reality that many undocumented foreigners, adults and children alike, left their countries because their lives were in danger and have a legitimate claim for protection. The government needs to put its broken asylum system back on track, take the asylum procedure away from the police, create a special body that assesses claims fairly and promptly and institute a fair, workable appeals process. Otherwise, the adults and children the Greek government releases from detention now will end up again in a dead-end situation: unable to leave Greece, unable to return to their countries, and unable to be recognised as refugees.